ESPN Insiders: What should Eagles do with Nick Foles? The Philadelphia Eagles just won Super Bowl LII -- with a backup quarterback. 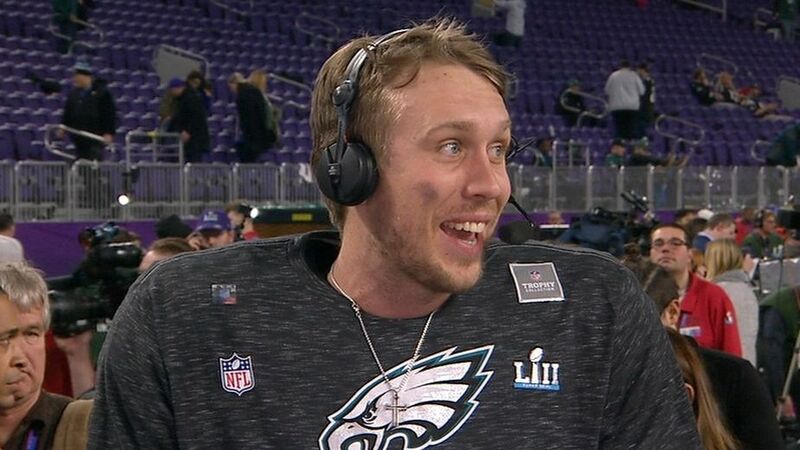 So what now for Super Bowl MVPNick Foles? He's signed for only one more year, and Philly obviously has Carson Wentz. But Wentz suffered a torn ACL in mid-December, and Foles could be insurance if Wentz isn't ready to go for training camp and Week 1 next season. Foles' value, however, has never been higher, so the Eagles could also choose to shop him to try to get a draft pick or player in a trade. Do you listen to trade offers, or is it too dangerous with Wentz coming off injury? Matt Bowen, NFL writer: I listen to offers. Foles just lit up defenses led by Mike Zimmer and Bill Belichick. And he did it on the game's biggest stages. Even with Wentz recovering, and the uncertainty that he will be game-ready to start in Week 1 in 2018, it's hard to imagine Foles' trade value ever reaching this level again. Mike Clay, NFL writer:You absolutely listen to offers. Foles is a starting-caliber passer, which they have to love having on the bench, especially behind a running quarterback like Wentz. But if they can improve a starting position elsewhere on the roster, they should deal him. Foles has only one year left on his deal anyway, so reap the benefits while his value is at an all-time high. Mike Sando, senior NFL writer: I'd listen, and I think the Eagles will listen, and I think they will do more than listen. They will try to trade him if they can replace him. However, I could see Foles resisting a trade, especially if the coaching fit with another team does not appeal to him. Aaron Schatz, editor-in-chief of Football Outsiders: If Wentz's recovery from the ACL injury is going on schedule, and there's no indication that it isn't, then of course they should try to trade him. Foles was available to anyone on the free market just a few months ago. Two great games might make him a Super Bowl MVP, but they don't necessarily make him a top starting quarterback. They make him a good backup. Field Yates, NFL Insider: Absolutely. While there is inherent risk given the timing of Wentz's injury, the proverbial iron is hot for Foles' value. It will never be higher. If you shop Nick Foles, what should you get for him at a minimum? Bowen: A Day 2 pick. Foles' playoff tape should sell. And he's a fit for the shift we are now seeing in NFL offensive philosophy. It's more quick-passing, play-action, run-pass options and movement. The value is there. Clay:Second-round pick.Foles struggled in St. Louis, but who didn't during the Jeff Fisher era? Eagles coach Doug Pederson did an outstanding job getting the most out of Wentz and Foles, but scheme only goes so far. Foles is surely one of the best 32 passers in the NFL, and there are quarterback-needy teams who should come calling. Alex Smith, who is almost 5 years older and significantly more expensive, cost a third-round pick and a 22-year-old corner coming off a breakout season. Sando: Second-round pick. Some of this depends on the Eagles' ability to find a suitable replacement. From there, they should get what they can get for him, using other quarterback deals as a guide, but if the price is lower than a second, I'd consider holding on to him. Schatz:Third-round pick.The Patriots got a high-second-round pick for Jimmy Garoppolo, so the Eagles should start in the middle of the second round and see if someone will bite. After a third-round pick, the playertheycould draft probably isn't equal to the value of having a good backup whomthey trust. Yates:Second-round pick. That'sthe smart starting point with the potential for adding more draft capital. 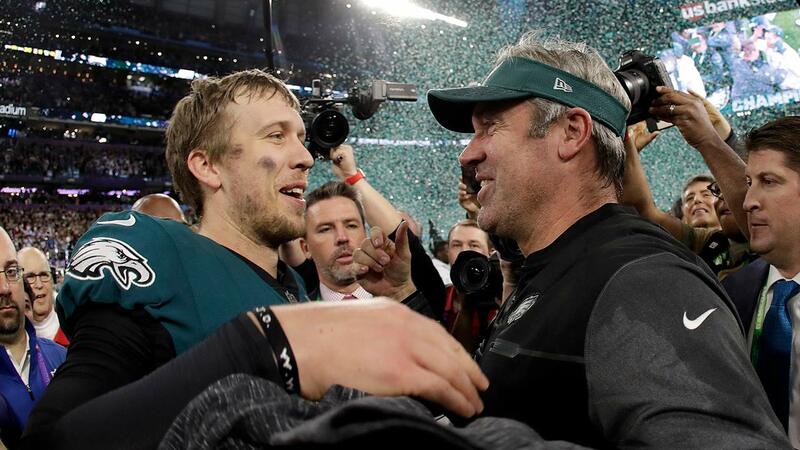 Nick Foles joins NFL Primetime and credits his coaching staff, teammates and basketball skills for his success in the Eagles' win. 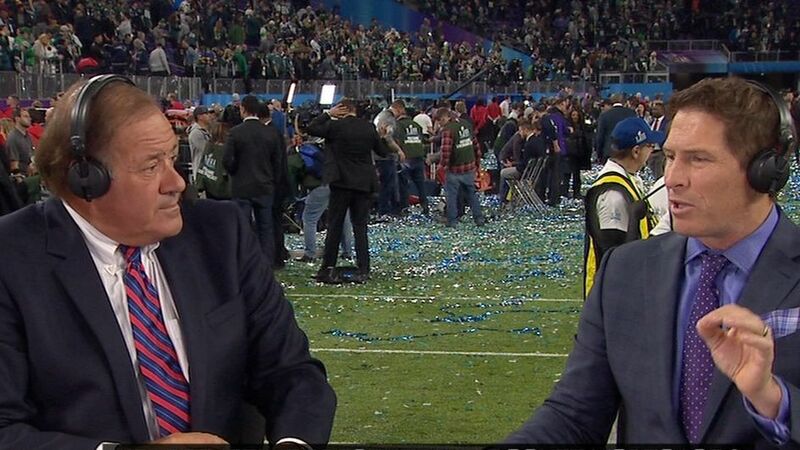 Chris Berman, Steve Young and Randy Moss break down how Nick Foles and Doug Pederson were the difference-makers in the Eagles' victory over the Patriots. Nick Foles breaks down his rare touchdown catch in the first half during the Eagles' Super Bowl win over the Patriots. 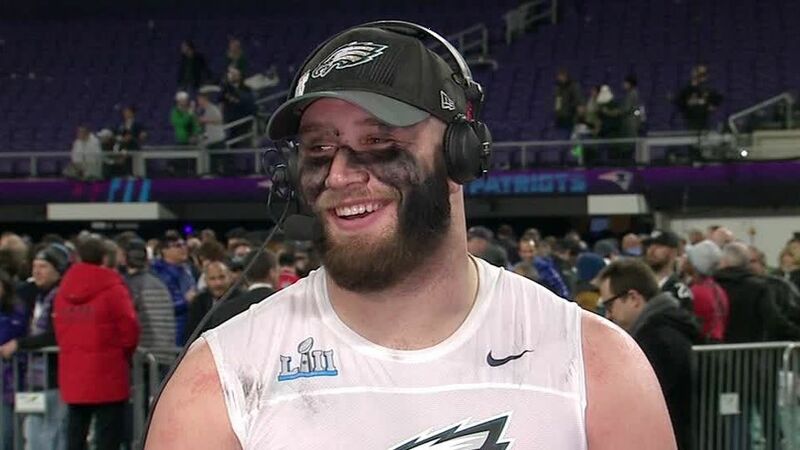 Lane Johnson joins NFL Primetime and explains that after a few drives, he knew that Nick Foles would be able to lead the Eagles to a Super Bowl victory.